Bidspirit auction | FIORENTINO, GIOVANNI. “First edition” (see below). Woodcut device at title-page and at colophon. ff. 227. Lightly foxed. Later full vellum. 8vo. 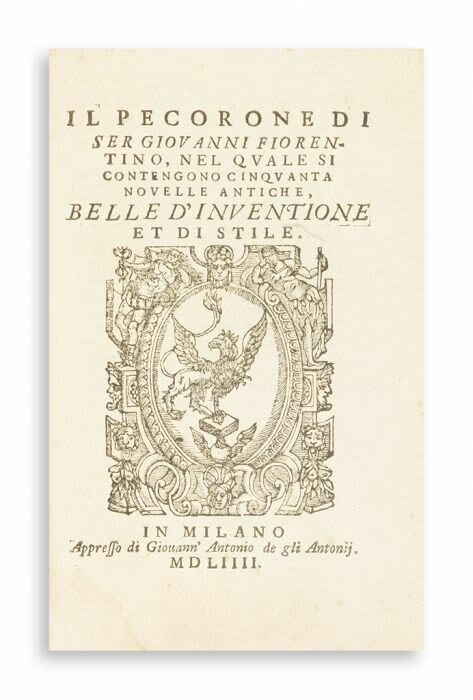 This is the famous counterfeit of the first edition, printed in Lucca in the 1740’s. The original was published in 1558 and was a source for Shakespeare’s The Merchant of Venice.